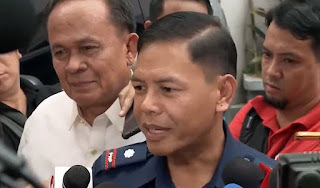 VIRAC, Catanduanes (Bicol Standard) -- Before even formally assuming office as chief of Virac Municipal Police Station, Police Chief Inspector Jovie Espenido was reassigned back to Police Regional Office 8 (Eastern Visayas). The Catanduanes Provincial Police Office received a radio message from PNP Region 5 informing them of the reassignment effective November 20, 2018. The message directed Espenido to report to his new unit assignment to avoid being marked as AWOL. Reports say that cops from Police Regional Office 8 have signed a petition urging Espenido's return due to the alleged resurgence of illegal drugs in the area.